Use for Seasonal Fish Food Selection by the easy to read color-code temperature scale. 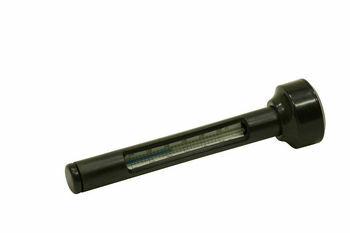 A very special thermometer for use in outdoor fish ponds, especially Koi ponds. Water temperature is a extremely crucial element of Koi keeping, as it determines the feeding schedule best suited for the fish. Overfeeding can easily occur at certain temperatures, resulting in pollution of the water. And under feeding Koi will result in stunted growth, lack of vitality, and poor resistance to disease. The benificial bacteria (AquaClearer Extreme)that was keeping your pond water clear does not work below 60 degree water temperature. You will have to switch to AquaClearer Extreme Cold Water to break down sludge an de-nitrify the water until the water temperature get to 40 degrees. Below that, everything is dormant.